While Game of Thrones may have popularised dragons for a younger audience, stories about these fascinating mythological creatures go back thousands of years. There are many interpretations depending on the origin of the story. In Chinese folklore, for example, dragons are friendly creatures whereas they’re almost invariably depicted as dangerous in Western stories. 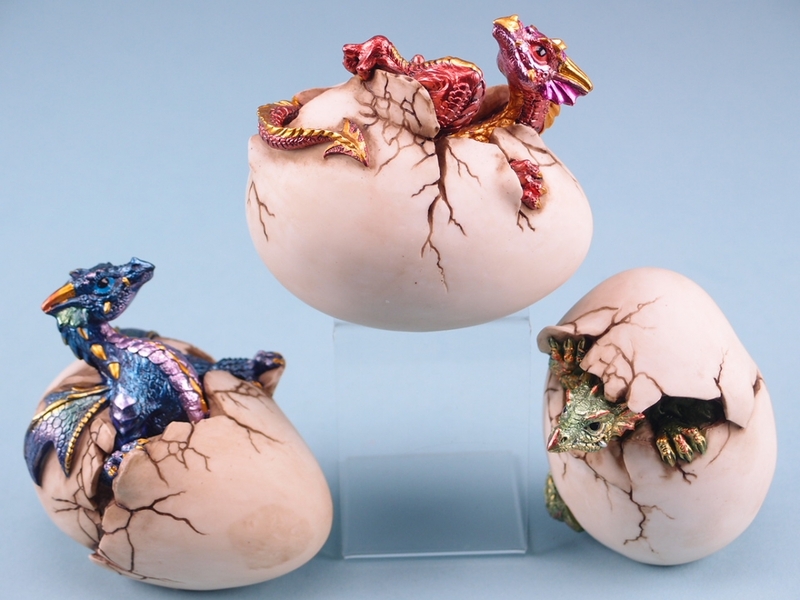 With these colourful hatching dragon pots, you can celebrate your own favourite depiction of the creature by displaying it in a chosen location. 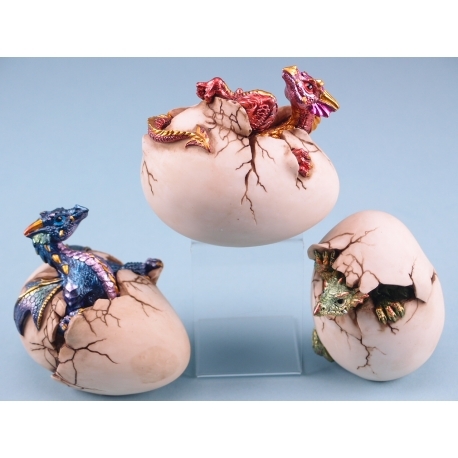 Available in three different metallic colours, each hatching dragon figure measures at 9 centimetres.